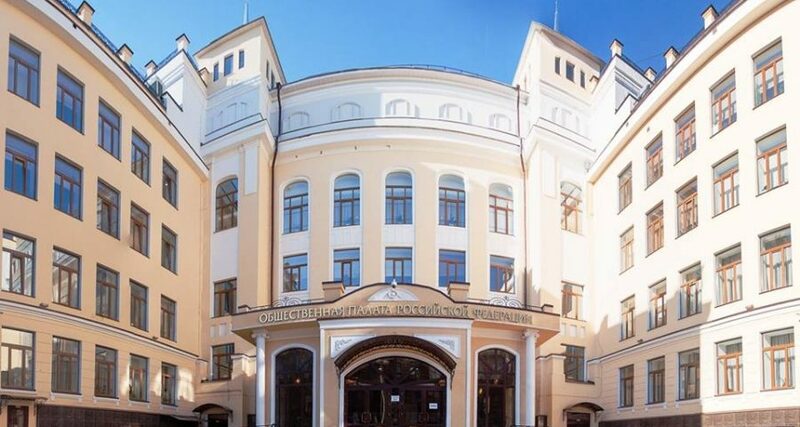 New rosters of Public Monitoring Commissions (PMC), Russia’s only independent prison watchdog, were released on 21 October1Public Monitoring Commissions roster, published on the website of Russia’s Civic Chamber: https://www.oprf.ru/ru/1449/2133/1536/newsitem/36621.. To their outrage, prominent human rights activists – such as Zoya Svetova, Andrei Babushkin, Anna Karetnikova, and Yelena Masyuk – didn’t make it this year, having lost the election carried out in Russia’s Civic Chamber last month. Ninety per cent of those who made it are not well-known for their human rights work, if known at all, Valery Borshchyov, human rights advocate and author of the law outlining public oversight of prisons, told Russia’s opposition-leaning Novaya Gazeta newspaper2Елена Масюк, «Смотрящие от ОНК», Новая газета. 22.10.2016 https://www.novayagazeta.ru/articles/2016/10/22/70270-smotryaschie-ot-onk%20.. “People that are known for being actively involved in public monitoring are not included in the Commissions, despite the law that outlines that members of the PMCs should have experience in human rights activities,” Borshchyov said. According to Borshchyov, the move suggests that Russian authorities are no longer interested in proper monitoring of prisons, and that their awful living conditions, almost non-existent medical care and widespread torture practices would flourish from lack of control and impunity. “[The election that ousted prominent human rights activists] was a special op design to eradicate all public control of detention facilities,” he said. Eva Merkachyova, one of the experienced human rights activists who made the roster this year, echoed his sentiment. “There will be dead bodies, there will be torture, there will be a lot of grief and tears without the real human rights advocates [on the PMCs],” Merkachyova wrote in a Facebook post on 22 October3Eva Merkachyova, Facebook, 22.10.2016 https://www.facebook.com/photo.php?fbid=1361546417222851&set=a.405558146155021.99755.100001025171767&type=3&theater..
PMCs were founded in 2008, after a new law on public oversight was passed by the Russian Parliament. It allowed independent, non-governmental rights advocates to get elected to the monitoring bodies that inspect prisons. “The monitors received access to prisons, prison settlements, and police stations across the country. Many veterans of long-standing human rights organisations joined the commissions as a result,” Zoya Svetova, one of the most renowned members of the PMC, recalls in a column for The Moscow Times independent weekly4Zoya Svetova, How the State Hijacked Russia’s Only Independent Prison Watchdog, The Moscow Times, 03.11.2016 https://themoscowtimes.com/articles/how-the-state-hijacked-russias-only-independent-prison-watchdog-55988..
Members of the PMCs have for years been inspecting prisons, pre-trial detention centers, penal colonies and settlements, struggling to ensure that the physical and living conditions in prisons comply with the law. Particular attention has been paid to the quality of medical care, complaints about undue pressure from prison officials, and, of course, allegations of torture. For many prisoners, PMC monitors were the only people they could count on for help. “I get a lot of phone calls from penal colonies in [Russia’s remote republic of] Mordovia. Convicts complain about being tortured and humiliated, and beg me for help,” Svetova wrote in another column for the Radio Liberty website5Зоя Светова: Ад на Земле, Радио Свобода, 02.11.2016, http://www.svoboda.org/a/28088887.html.. But before long, things began to change. In November 2009, former auditor the for Hermitage Capital, Sergei Magnitsky, died in a pre-trial detention centre in Moscow. The PMC, headed by Borshchyov, launched a public inquiry into his death, which later served as basis for the “Magnitsky Act” passed by the U.S. Congress. The move prompted a reaction from Russia’s law enforcement circles: They planted former military and intelligence officers into the commissions, unwilling to leave any leeway for the independent monitors. This year’s purge seems to fall into the overall trend of cracking down on independent human rights activities. Russia’s Civic Chamber leaders insist that elections to the PMCs were transparent and fair. “The process of forming the PMCs was as open as possible. We put together working groups, conducted discussions in various institutions,” Alexander Brechalov, secretary of the Chamber, said6Александр Бречалов: «Процесс формирования ОНК был максимально открытым», 21.10.2016, https://www.oprf.ru/press/news/2016/newsitem/36622.. Instead of prominent human rights activists, PMC now has such notorious members as Dmitry Komnov, former director of the Butyrka pre-trial detention centre – who was fired after the death of Magnitsky, who had complained numerous times about prison officials refusing to provide medical assistance in Butyrka. Pavel Pyatnitsky, member of the Centre for Supporting Spiritual Legacy, will also continue to work as a PMC monitor despite numerous accusations of corruption and extortion during his previous term at the PMC7Саша Сулим, Вместо правозащитников – начальник Бутырки, Meduza, 23.10.2016, https://meduza.io/feature/2016/10/23/vmesto-pravozaschitnikov-byvshiy-nachalnik-butyrki..
1. ↑ Public Monitoring Commissions roster, published on the website of Russia’s Civic Chamber: https://www.oprf.ru/ru/1449/2133/1536/newsitem/36621. 2. ↑ Елена Масюк, «Смотрящие от ОНК», Новая газета. 22.10.2016 https://www.novayagazeta.ru/articles/2016/10/22/70270-smotryaschie-ot-onk%20. 3. ↑ Eva Merkachyova, Facebook, 22.10.2016 https://www.facebook.com/photo.php?fbid=1361546417222851&set=a.405558146155021.99755.100001025171767&type=3&theater. 4. ↑ Zoya Svetova, How the State Hijacked Russia’s Only Independent Prison Watchdog, The Moscow Times, 03.11.2016 https://themoscowtimes.com/articles/how-the-state-hijacked-russias-only-independent-prison-watchdog-55988. 5. ↑ Зоя Светова: Ад на Земле, Радио Свобода, 02.11.2016, http://www.svoboda.org/a/28088887.html. 6. ↑ Александр Бречалов: «Процесс формирования ОНК был максимально открытым», 21.10.2016, https://www.oprf.ru/press/news/2016/newsitem/36622. 7. ↑ Саша Сулим, Вместо правозащитников – начальник Бутырки, Meduza, 23.10.2016, https://meduza.io/feature/2016/10/23/vmesto-pravozaschitnikov-byvshiy-nachalnik-butyrki.